A number of recent studies have demonstrated that pressure sensor diagnostics in mobile machinery mean less work for field technicians and millions of dollars of cost savings for manufacturers. According to data collected by WIKA from off-road vehicle manufacturers, 50% of components that have failed during the warranty period are later determined to have “no fault found” when tested by the manufacturer. The high rate of no fault found failures is usually attributed to field technicians not having the right tools or training to diagnose the machine. But the problem is much deeper when you look at the cost of having a machine out of service. In most cases, field technicians are rushed to get machinery back into service, so their natural inclination is to replace suspect parts until the problem is found. When the suspect parts are later returned to the manufacturer as part of a warranty claim, the manufacturer is stuck with paying for a component that should have never been removed from the machine in the first place. Manufacturers now are demanding that components indicate a failure before being removed from the machine because it’s these “no fault found” components that cost manufacturers millions of dollars each year in warranty claims. In consultation with leading manufacturers, WIKA developed the MH-3, which is the first OEM pressure sensor with diagnostics designed specifically for off-road vehicles. 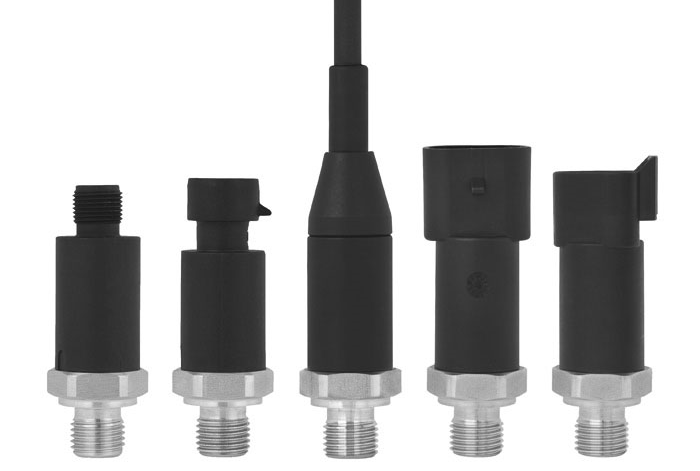 The pressure sensor can be configured by the manufacturer to meet their unique software requirements, and not only has the ability to indicate permanent failures, but can also indicate temporary failures like over-voltage, under-voltage, over-pressure, pressure spikes, and more. The MH-3 with diagnostic capability provides field technicians with a clear indication of the pressure sensor’s operational status. The diagnostic feature drastically reduces the unnecessary replacement of working components, which reduces no fault found warranty claims, saving manufacturers millions of dollars each year. A tractor manufacturer had a major problem with failed pressure sensors when they upgraded to the latest in hydraulic pump technology to boost efficiency. Eventually, it got so bad that field technicians were making it a standard practice to replace suspect pressure sensors just to get a machine back into service as soon as possible. Obviously, warranty claims were rising fast from pressure sensor repairs, so they contacted their current supplier. The pressure sensor manufacturer tested the returned sensors and told the tractor company that more than half had no failure whatsoever, and to their surprise, the other half had failed from pressure spikes. Their current sensor supplier insisted that nothing was wrong with their sensors and that the pressure spiking failures were caused by something in their machinery. The tractor manufacturer had to find a fast solution for the ever increasing warranty claims, so they contacted WIKA to help them identify the issue. The team researching the problem found that certain types of sensing elements in pressure transmitters were more likely to be damaged by the rapid pressure spiking. WIKA recommended that the tractor manufacturer test the MH-3 mobile hydraulics pressure sensor with WIKA’s thin film welded sensor technology and the WIKA Cavitation Dampening System, and the rate of the sensor failure dropped to zero. Also, the tractor manufacturer implemented the MH-3 diagnostics across all their machinery, and now field technicians can quickly and accurately troubleshoot their machinery, eliminating warranty claims from no fault found failures. To learn more about the importance of pressure sensor diagnostics in the off-road vehicle industry, check these fact-filled FAQs from leading global pressure sensor manufacturer WIKA.